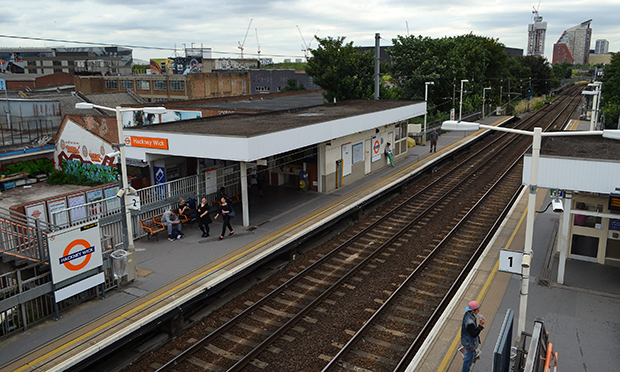 The bodies were found on the tracks between Hackney Wick and Stratford. Two people were found dead last night after being electrocuted on the railway line between Hackney Wick and Stratford. British Transport Police encountered two badly burned bodies after being called to reports of a casualty on the track at around 1am this morning. The officers were joined by firefighters and paramedics, but a person was pronounced dead at the scene after sustaining “serious injuries consistent with electrocution”. At 2.31am, officers received reports of a second casualty on the tracks close to Stratford. This person was also pronounced dead at the scene after suffering similarly serious injuries. BTP officers are working to identify the deceased and inform their families. An investigation is underway after two people died after sustaining serious electrical burns on the railway between Hackney Wick and Stratford in London. A number of enquiries are also underway to establish the circumstances of how the people came to be on the tracks. Detective Chief Inspector Tim Tubbs from the BTP, said: “An investigation is now underway to discover what happened and how these two people came to lose their lives on the railway. “At this time we are treating their deaths as unexplained as we make a number of urgent enquiries. Information can be passed to BTP by sending a text to 61016 or by calling 0800 40 50 40 quoting reference 23 of 21/03/19.